A wedding venue that fits into an existing historic property in Berryville, VA. In the summer of 2016, William reached out to Quarry View about adding a separate space onto his 60-acre property at Historic Rosemont Manor in Berryville, VA. William was looking for a company that would be able to build a relationship with his existing general contractor so everyone could be on the same page throughout the build. The current property is home to a stunning wedding and event venue that has been welcoming guests since the 1700s. It features gorgeous historic buildings and extraordinarily beautiful grounds. William came to us with an idea for a brand-new wedding and reception venue on the property that can hold up to 450 people. Although construction hasn’t started yet, we’re working with William and his team to decide exactly how this new wedding venue project will come to fruition. 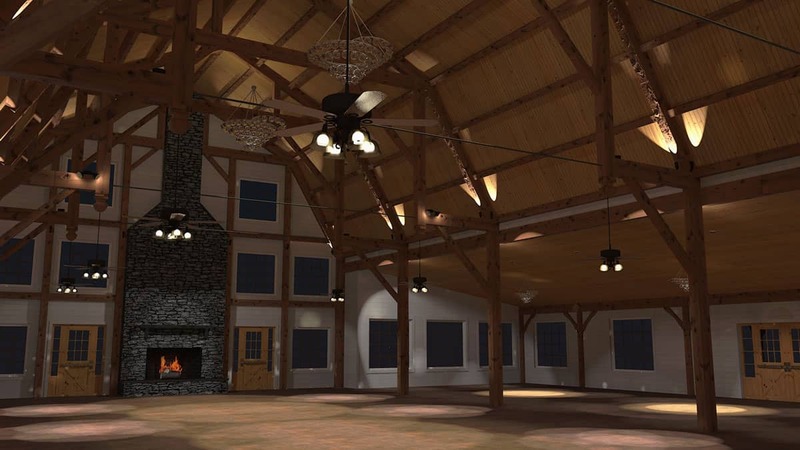 We plan to create a beautiful hybrid event structure that will include a timber frame structure for the main part of the building and a stick frame structure for the wings. We’ll also be providing specialized woodwork and panels for all the windows and doors, as well as the exterior of the building. The final wedding venue will boast bridesmaids’ and groomsmen suites, a caterer’s kitchen, indoor bathrooms, and a multitude of other beautiful details. 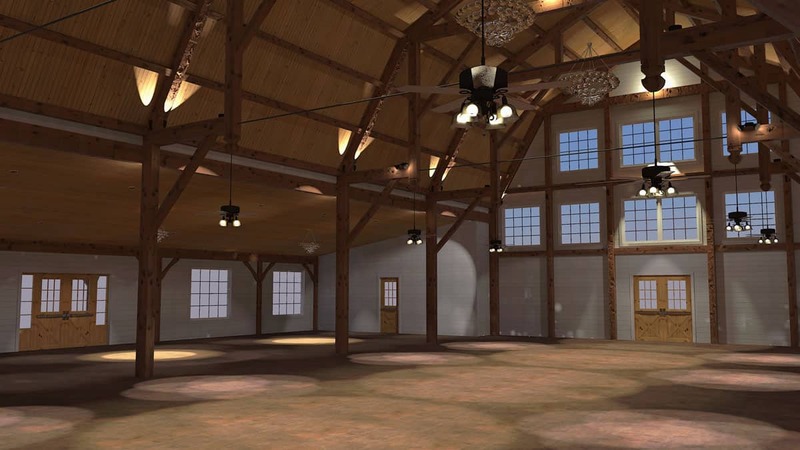 We can’t wait to get started on this event facility construction project and see some of the weddings that take place there next summer!